Camp Sitar Is In Full Swing! If you popped into the Sitar Arts Center this week, you’d witness a whirl of creative activity: from dance to digital design. That’s because for the past four weeks, Camp Sitar has been in full swing. 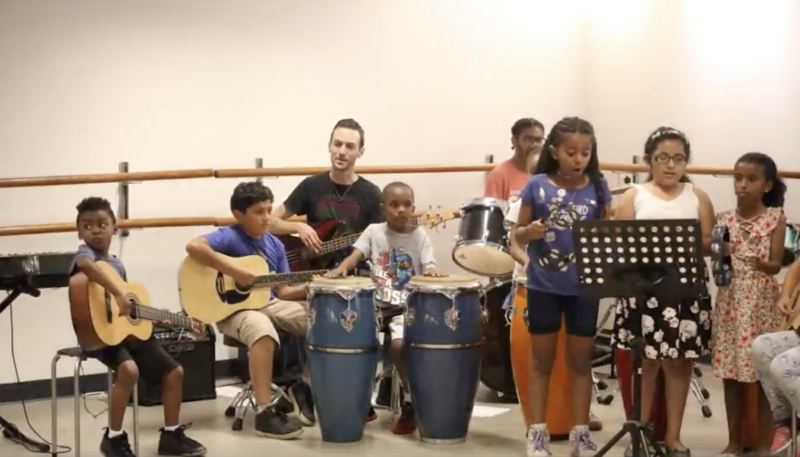 Take a look at Sitar’s video from the first week of camp and you’ll see, behind the smiles of the more than 200 young campers, the children are doing more than having fun—they’re learning and building skills, too. Sitar offers music, drama, dance, visual arts, digital arts and creative writing classes to young people from all DC neighborhoods. Through arts programming, children and youth from low-income communities acquire skills vital to later success in life: effective communication, collaboration, critical thinking, taking initiative and accountability. 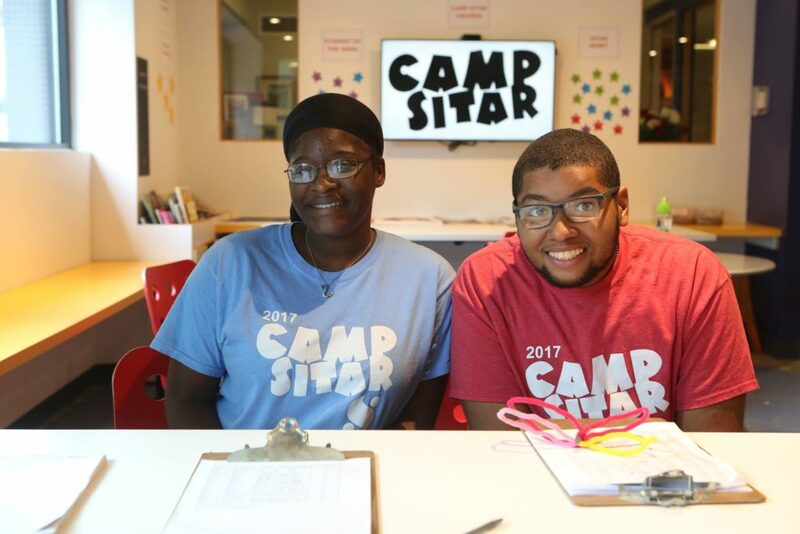 Over the summer, all this learning—and fun!—happens at Camp Sitar, where young people build both creative and professional skills. 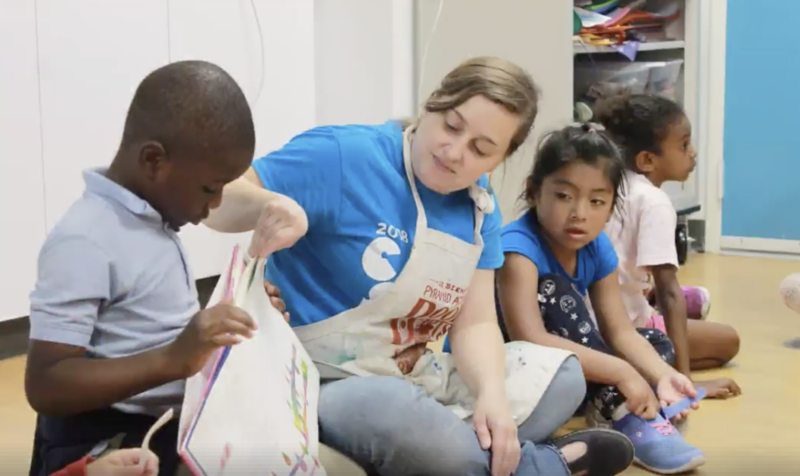 Younger campers attend rotating arts classes, while teenagers take a deeper dive, immersing themselves in intensive study and completing a collaborative project. And, through the Sitar Emerging Arts Leaders Internship, select older campers can earn money or community service by working at the center, further fostering their creative and professional skills. The whole transformational summer experience wraps up at the end of July with a Broadway-style musical. Through Camp Sitar, students experience all aspects of mounting a full length musical production from auditions to rehearsal to final performance. In past years, campers put on Beauty and the Beast, Willy Wonka, Jr., You’re a Good Man Charlie Brown, Hello, Dolly, Bye Bye Birdie, Guys and Dolls, The Wiz, and Hairspray. This year, the campers will be performing Seussical, The Musical. The production runs August 2-5. Learn more about WWPR’s 2018 pro bono client, Sitar Arts Center.